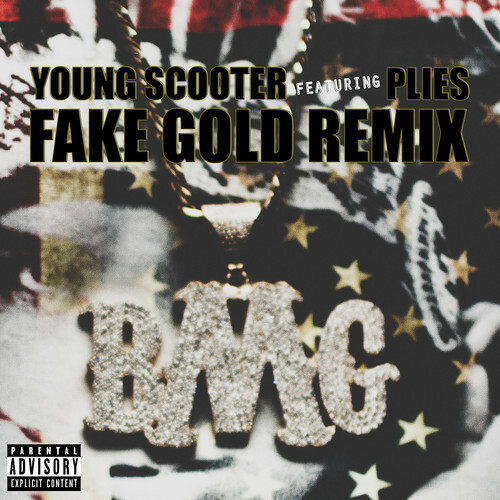 Young Scooter and Plies combine forces on their new collaborative street remix for, “Fake Gold.” Scooter goes in over a pounding instrumental that’s backed by some haunting synths and drops catchy bars as he takes it upon himself to call out artists with fake gold chains. Take a listen as the duo boast about their lavish lifestyles and expensive habits for buying the finest jewelry. Fans of Young Scooter can look forward to the rapper’s latest offering, Street Lottery 2, to drop on January 1. This entry was posted in Audio and tagged fake gold, hip hop, plies, rap, Remix, street lottery 2, Young Scooter. Bookmark the permalink.